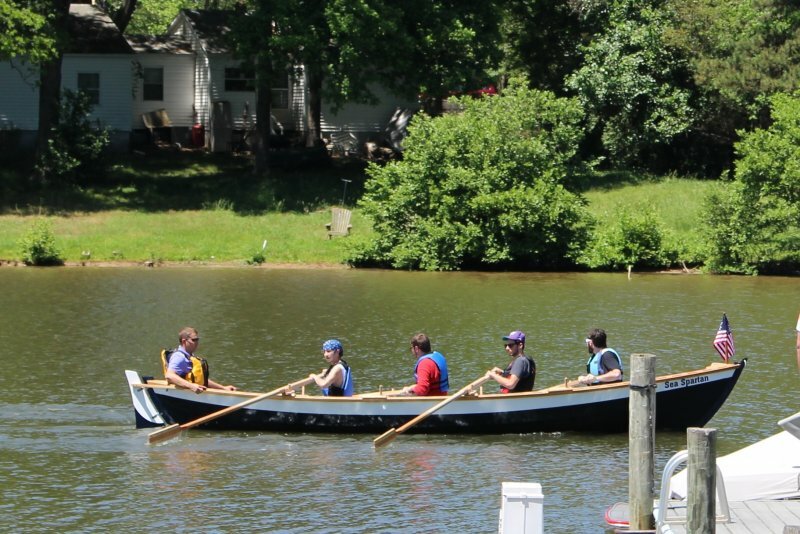 Community School of Davidson in Davidson, North Carolina launches the “Sea Spartan”, a St. Ayles Skiff designed by Iain Oughtred. Built in four months by students and teacher Jim Dumser in the Wood Arts class, the skiff is 22 feet long and rowed by a team of five. Started in 2009, the Scottish Coastal Rowing Project is growing by leaps and bounds worldwide with over 125 registered skiffs. The “Sea Spartan” has been designated US14 and is the thirteenth skiff built since 2009 in the United States. Students will start a school and community based rowing club in the fall, and encourage the production of a second skiff by another group on Lake Norman.